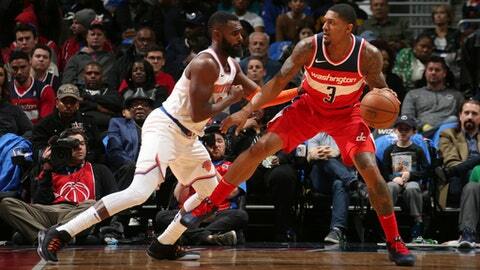 LONDON (AP) The NBA will return to London next year with a regular-season game between the Washington Wizards and the New York Knicks. It will be the NBA’s ninth regular-season game in London, all sellouts. The Knicks have played there twice, facing the Detroit Pistons in 2013 and the Milwaukee Bucks in 2015. This will be the Wizards’ debut in London.